There are a few things that cause homeowners extreme stress and can quickly become a nightmare. From a leak in the ceiling to a faulty foundation, there are many problems that you never want to see happen to your home. Another homeowner nightmare that you will never want to experience is a broken sewer line. 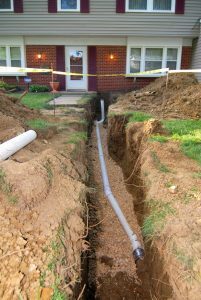 When a sewer line breaks, it generally means that your entire yard has to be dug into a trench and torn apart in order to remove and replace the old pipes. However, times have changed and there is a new and improved way of fixing broken sewer pipes. 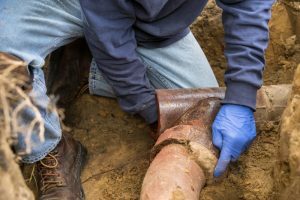 While this plumbing problem is still a huge concern, it can be solved in a much better way than digging an entire trench in your yard. Trenchless sewer repairs allow you to get your broken sewer line fixed without having to dig up your yard. At Cupertino Plumbing, we offer trenchless sewer repairs that are simple and can generally be done in a single day. Our team uses a series of steps to perform this service and help repair your sewer line in a convenient manner. There are many benefits to a trenchless sewer repair that we wanted to share with you, but first, let’s talk about the steps involved in this plumbing service. When your sewer line breaks, you will want to call a plumbing expert right away. When you call our professional team at Cupertino Plumbing, one of our plumbers will come and identify the pipe that is causing you problems and create one or two holes in your property. These holes are generally at either end of the damaged pipe and are only two feet in diameter, rather than an entire trench. Using these small holes, our team will access the broken pipe, repair, and replace it. If your pipes are cracked, we will repair them from the inside by coating them to create a new lining that will seal leaks. Any broken pipes will be replaced with a new pipe. Once this process is complete, we will fill the holes and just like that, your sewer line is fixed! This is a much simpler process for homeowners and one that will not destroy their entire yard. Now that you know how the process works, let’s take a look at the benefits of trenchless sewer repair. One of the most obvious benefits of trenchless sewer repair is the fact that it is much cleaner than traditional methods of repairing a broken sewer line. If you spent a lot on your landscaping or your pride and joy is your perfectly manicured lawn, the last thing you want is to see that torn apart due to a broken sewer line. With trenchless sewer repair services, you can keep your yard in near perfect condition and only have two small patches that will need a little extra TLC rather than an entire trench. Traditional sewer repairs can last days or longer. It is a process having a trench dug in your yard and them having to repair or replace the pipes. While no homeowner wants their sewer line to break and destroy their yard, they certainly don’t want a crew working on the fix for an extended period of time. Like we already mentioned, trenchless sewer repairs can be completed in a day or two, making this the better option. Since the process requires less digging, it will be simpler and quicker to solve the problem and have our crew on their way. Trenchless sewer repairs use high-quality material that can help keep your sewer line in better condition and help avoid any additional problems in the future. We use a high-quality coating that creates a new lining in your pipes when a crack is present. If your pipe is broken, we will replace the entire thing. With this service, polyethylene piping is generally used, which is joint-free, providing protection against tree root evasions, cracks, and other pipe problems. With these higher quality materials, you will be able to avoid any additional issues with your sewer line. Cured in place pipe or CIPP is used for trenchless sewer repairs. When installed, this is a flexible pipe. It is then infused with resin which sets to create a solid pipe. The seamlessness of the pipe allows for a better flow and longer lasting results. Trenchless sewer repairs are also often more affordable than traditional services. Since less labor is involved and an entire trench isn’t being dug, it can often be a better choice of service in terms of price. You will still get a quality repair, but less work is being done, which means you will likely pay less! Plus, you will be able to avoid additional fees to redo or fix your landscaping after a trench is dug in the middle of your yard. When you have a trench dug in your landscaping, you will likely need to pay to have it fixed and put back into decent shape or pay for new sod. While you may not be too worried about the environmental impact you are causing when having a broken sewer line fixed, we think this is another huge benefit of a trenchless sewer repair. This process will avoid digging up a huge chunk of earth and harming the plants or trees in the surrounding area. When trenchless sewer repairs are done, less ecological damage is being done. 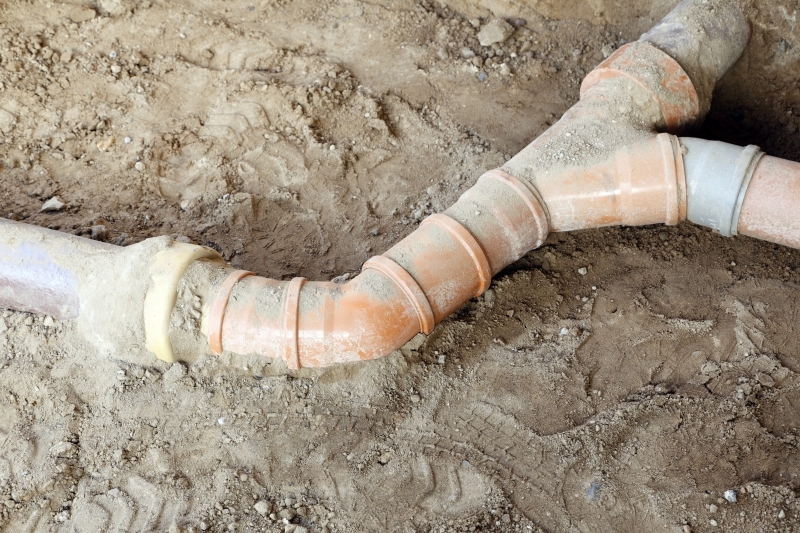 A broken sewer line is something every homeowner hopes to never encounter. But when it does happen, you can rest assured knowing that our team of professional plumbers can provide you with a great alternative service to digging an entire trench in your landscaping. Trenchless sewer repairs are a great alternative and provide many benefits that traditional methods do not. To learn more about trenchless sewer repairs or to schedule this service, contact Cupertino Plumbing now! Our team will be able to solve your plumbing problems in no time and can serve the entire San Jose area.